We all would love to have that mutual understanding with our dogs, a dog that has just eyes for us, comes every time when called and is calm when home alone. However, often it is just the opposite, the dog ignores the owner, coming back is an unknown concept and the dog cannot be left alone without destruction or neighbours’ complaints. This webinar explores the definition of a good relationship and how we can improve our relationship with our dogs. I will start with the needs of our canine friends and how we can meet these so they can become the best companion they can be and reach their full potential. Dogs are social animals and need to be part of our family. They really don’t like to spend most of the day home alone. I will be talking on how to develop a relationship that is based on trust and mutual understanding and how to develop effective communication tools and hot to translate this into focus. I will also cover communication and stress signs, play and games as well as age appropriate training. Barbara Hodel is the president of PPG Australia. In 2015 she completed her Diploma in Canine Behaviour Science and Technology at the Companion Animal Sciences Institute in Canada (http://casinstitute.com). But she has been involved in dog training for the last 15 years and completed a Certificate IV in Companion Animal Services as a Delta-accredited instructor in 2007. She has been running Goodog Positive Dog Training on the Northern Beaches Sydney for the last 10 years, running classes on all levels as well as workshops and agility fun classes. She also does in home consultations.She competes on excellent and master levels Agility and Rally O with Shellbe her five year old German Shorthaired Pointer. Zorbas a Kelpie/Ridgeback cross is retired now but enjoys it at almost 14 years of age. 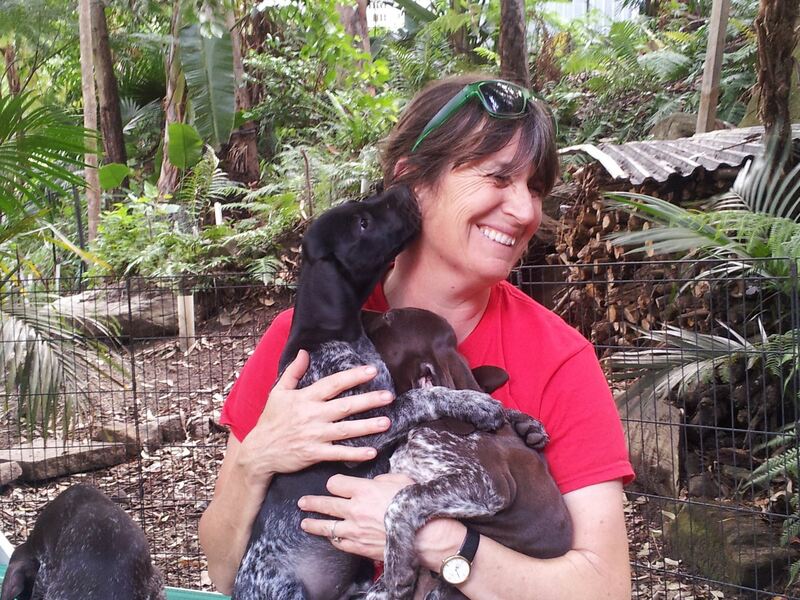 Barbara had a life before dogs and holds a Master's Degree in Modern European History and Economics from the University of Bern (Switzerland) and a MBA (Master of Business Administration) from Southern Cross University Australia. She has in-depth experience in adult education and training, having taught high school and university students in Bern, college students in Sydney, as well as middle and top management employees of a large public corporation in Switzerland.